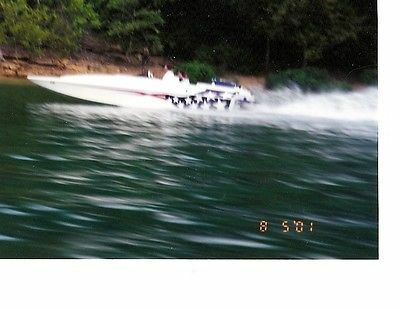 2000 VIP Vindicator 2400, 2000 VIP Vindicator 2400 Hi Performance boat,502 MAG MPI (415 Hp) Mercruiser engine with 166.4 hrs,Bravo One outdrive with stainless prop,Custom tandem axle trailer with Mag wheels and brake,All 4 new tires,Silent Choice exhaust,Color matching cockpit cover,Drop down Bolster seats,Depth Finder,Porta potty,Filler cushion for the cabin,Full cover,Please call (513) 344 3100 if you interested in the boat or have any questions $19,995. 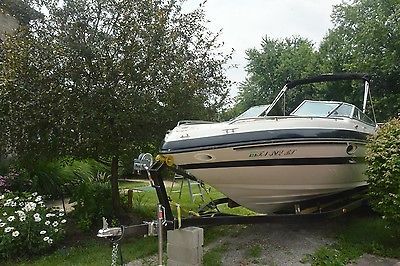 1996 Mariah Z252 Bowrider 7.4 liter 454 (265 hrs) runs like new 330HP Carbureted Bravo three Dual Props stainless steel 26 pitch Porta potty Sink Trim gauge Electric seat (captain) Removable carpet Bimini Top Cockpit cover Bow cover Table Filler cushion Dual Battery Switch On board Battery Charger CD player with auxiliary plug Brand-new batteries installed June 2015 Tons of storage space Windshield wiper Defrost Z package Docking lights In floor ski storage Cockpit lights Anchor locker with bumper holders No Trailer (Trailer shown on the picture is for my new Deck boat 27'). Fell free to call (513) 288 9726 if you have any questions. No overseas shipping. Buyer make arrangements to ship. 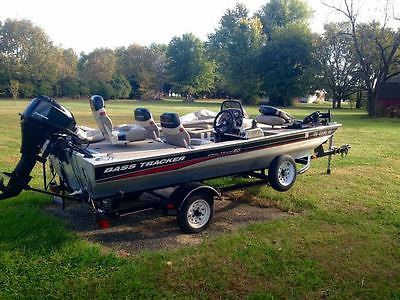 2001 WYATT PERFORMANCE BOAT, 23 FOOT 8 FOOT BEAM 3100 lb. 454 MAG. 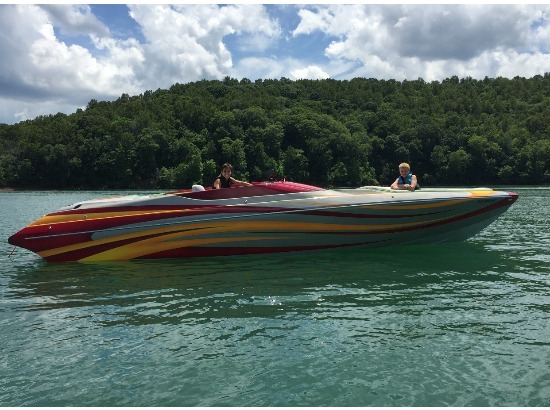 385 HP, HYDRAULIC STEERING, LIVORSI GPS SPEED-O, MSD PRO-BILLET DISTRIBUTOR IGNITION SYSTEM, COIL BLASTER, CRAN CAM, HYDRAULIC ROLLER LIFTERS, IMCO MARINE HEADERS, 422-SFT GUNWALE MOUNTED SHIFTER/THRITTLE CONTROL (IN-CONTROL PRODUCTS) LEFT HAND DRIVE. 345 AIRFLOW RESEARCH HEADS, LOW WATER NOSE CONE WATER PICK UP, BRAVO DRIVE SHOWER. DORSEY TRAILER: TANDEM AXLE W/ SURGE BRAKES I HAVE A WHIPPLE SUPERCHARGER KIT WHICH IS NO LONGER ON THE BOAT BUT DOES GO WITH IT. Stock Number: 714006. 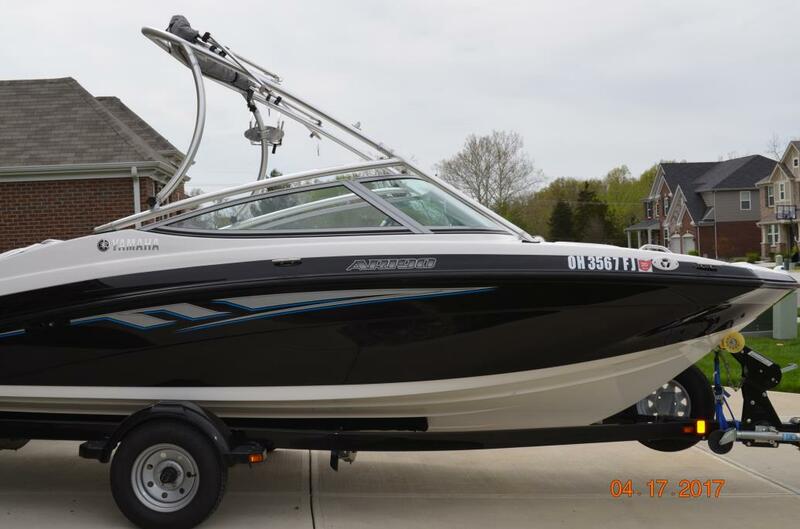 Don t miss this great deal; 2012 Crownline Xtreme Razor 245 SS for $54K! 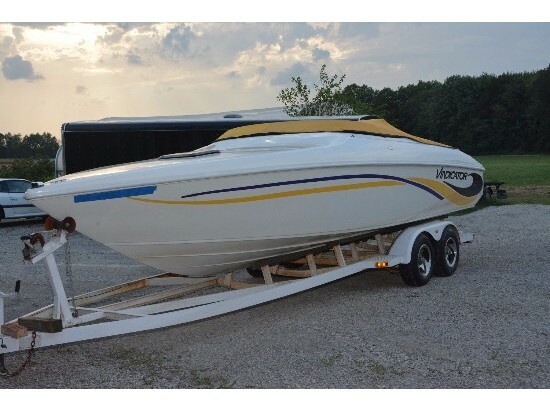 This 245 SS 350 MAG, 300 HP 24 foot boat is a must have/see. 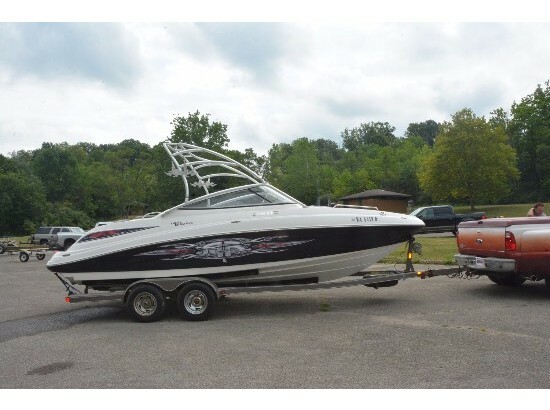 It has the razor package (wakeboard tower/upgraded stereo system with tower speakers)and sports package upgrades, custom eagle trailer, tandem axle and much more! Bought new in 2013, runs great and retail value was $95K. I have too many toys and multiple boats looking to make more room in my warehouse. Any questions please call 513-583-0668; ask for Mark or email. 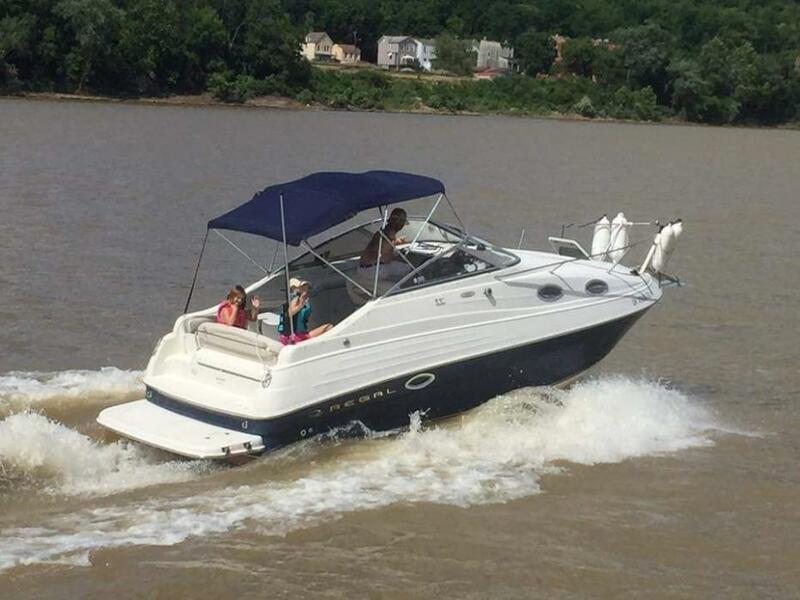 White w/Black trim; Volvo Penta 5.7 GI-DP - dual prop outdrive; Radar arch w/wake board set up & stereo speakers; full cover (black); Silent Choice exhaust; swim platform; docking lights; underwater lights. Eagle trailer w/collapsible tongue & spare tire. Aluminum wheels. Indoor stored in winter - VERY LOW Hours.